Young people from the Caldecott Foundation in Kent have enjoyed a great day out at the circus, thanks to Circus Starr – the Circus with a Purpose! 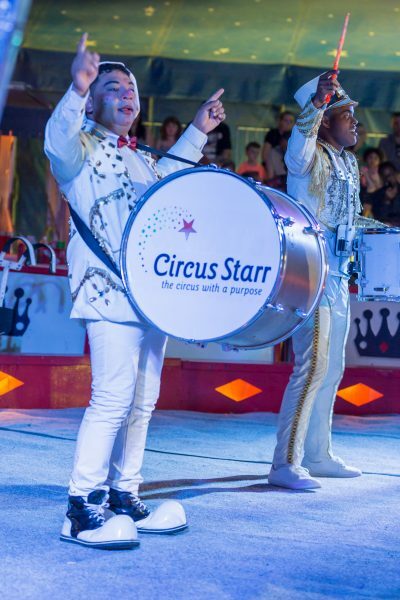 Circus Starr was founded more than thirty years ago and its performing artists come from all over the world. The touring troupe gives free seats to thousands of disadvantaged, disabled and vulnerable children and helps to raise money for local charities too. Ollie, a Deputy House Manager for the Caldecott Foundation, said: “All of our young people had a fantastic time and really enjoyed all of the entertainment as well as the Candy Floss! They loved learning sign language at the end but equally had their own favourite parts of the show. Thank you so much Circus Starr, we’re loving your work!